Video Management is a crucial part of security. Moreover, surveillance provides a valuable perspective which is often times indisputable. Now, with the most up to date software available, security managers and business owners have access to greater visibility. Through integrated systems, video management is capable of providing round-the-clock surveillance in a wide range of buildings. 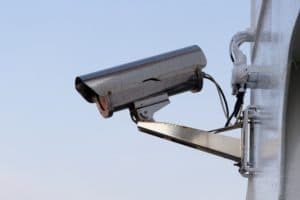 Actually, as a business owner or security manager, you do not even have to be on the premises to monitor what is going on at your facility. Now, there is software available that will enable you to access visuals on your property remotely. Alpha Energy Solutions offers security solutions including video management software which can be used to improve how you manage surveillance. Regardless of how large or how small your business is, there is a system that will meet your unique needs. Consult with Alpha Energy Solutions to find a system that is just right for you. When you are in the market for new video products, consider a reputable provider with experience such as Alpha Energy Solutions. Moreover, technology is changing rapidly and so are the methods that criminals use to access your enterprise. The best way to combat potential threats is to incorporate the latest technology and keep it up to date. Alpha Energy Solutions can deliver product options that will expand on your level of surveillance and place control directly into your hands and even at your fingertips. In fact, it is possible, to have multiple setups with visuals from various angles. Video surveillance should provide excellent details, be hassle-free to use and painless to implement. Moreover, the information obtained through the medium should also offer real-time feeds when necessary and the ability to replay footage as needed. Take your video surveillance to the next level and contact Alpha Energy Solutions.